Development is everything at Toyota. It's the unique management philosophy that's made us an automotive leader. All of the Toyota’s placements have a particular structure that allows successful candidates to broaden their business knowledge and undergo a range of inspiring on-the-job trainings. You can mix with Toyota by joining one of the following areas: Business Operations Management (Logistics), HR, Finance and engineering. Each of programmes last over two years. Psychometric tests are a key component of Toyota’s Application Process. After completing your application you will be asked to complete the following psychometric tests: Situational Judgement Test, Mechanical Reasoning Test, Personality Test. 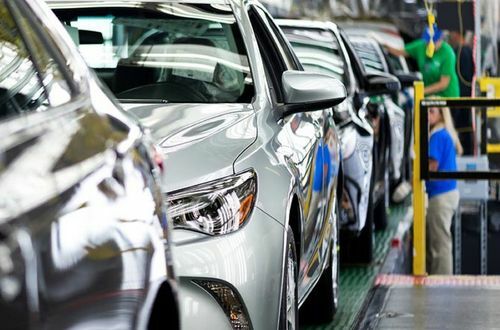 Toyota Situational Judgment Test is a set of questions assessing how you might react to hypothetical events and situations that might be encountered in the workplace Toyota environment. Based on your answers to these questions it will be verified how aligned you are with the company’s values and behaviours. So do your research and try to memorize them by heart ( might come in handy in the future!). Unlike most of the psychometric tests, Toyota Mechanical Reasoning Tests are knowledge assessments. While sitting these tests you will have to demonstrate a sound understanding of the classical mechanics’ laws and be able to apply it to hypothetical scenarios that you will be presented with. In essence, Toyota Personality Test will assess if you fit the specific role you are applying for and the company in general. But other than that, it also aims to decipher your mind and see what kind of person you are, what motivates you, and where your weakness lies. We don’t need you remind you, that the answers should be honest as these tests are designed to point out any discrepancies, however, it’s also important to remember that some qualities for a specific programme might be worth stressing more than others. Toyota Assessment Centre is usually a mix of group and individual exercises further measuring candidates alignment with the core Toyota competency framework. Assessments may vary depending on the career path you choose to follow, but it is recommended to be fully prepared for all scenarios to really stand out from the crowd.